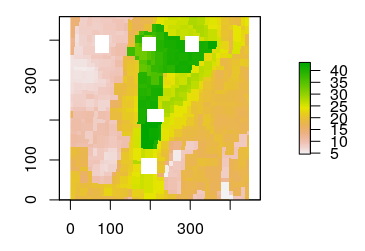 I have a 4-band raster image (RGB), downloaded from a WMS, representing clay content of topsoil ranging from brown (high clay content) to yellow (low clay content). The 4th band is alpha-band, with constant 255 values. The question is, how can I get the value of clay content in percentage for every raster pixel. 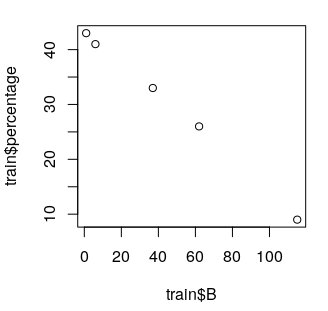 For me this looks much like an interpolation task; however, resample, interp, approx work only in fewer dimensions. Here is a similar problem however with a different color ramp. You have a monochromatic palette (shades of yellow/brown) so there's a good chance some linear combination of the individual RGB values to a single value will work. 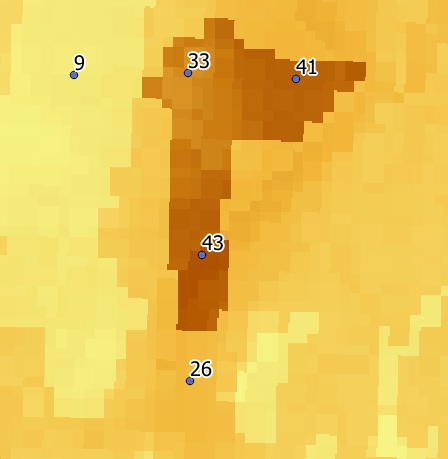 this is a single band raster with percentage values. The holes are where I had to crop out the point labels from your image with NA values - if you have a clean source image then this shouldn't be a problem. If this is good enough then stop, otherwise if you want better you could go into more complicated modelling based on all RGB components, or fitting a line through the path in RGB space, or asking the people who produced the data for a key, all depending on the level of precision you need in your application, which we don't know. Not the answer you're looking for? Browse other questions tagged qgis r or ask your own question.